Unfortunately, scratches in glass can occur at any time and they're devastating. Scratches can pop-up during times like construction phases, while performing routine cleaning tasks or just simply everyday contact. Regardless of how the glass gets damaged, scratches detract from the elegance of your glass tables, windows and doors. Our proprietary scratch removal process uses advanced abrasive pads and polishing products. Combined that with many years of hands-on experience. GlassTech is equip with the necessary skills to handle a wide variety of issues. We have put an end to your unsightly scratched glass troubles. GlassTech can repair scratched glass for a fraction of the cost of replacement. 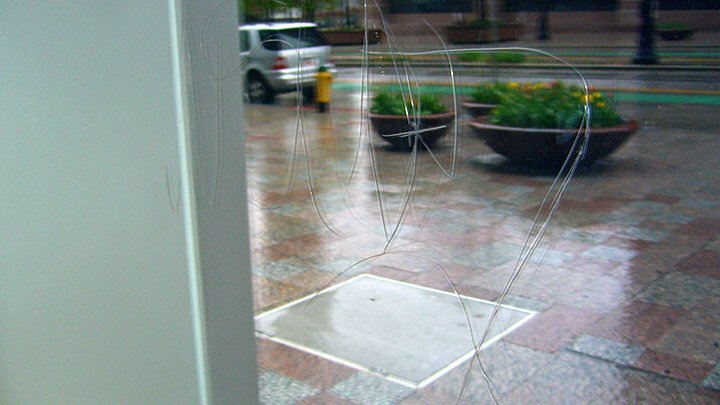 We are glass scratch removal experts servicing South Florida and surrounding areas. GlassTech provides professional glass scratch removing service and our technicians are extensively trained in our proprietary scratch removal process. Visit our before and after gallery to see unbelievable results! Applying Nanotect Glass Protective Coating will help minimize maintenance cost and cleaning time.